That second one can be filled with chocolate milk for especially rough days. 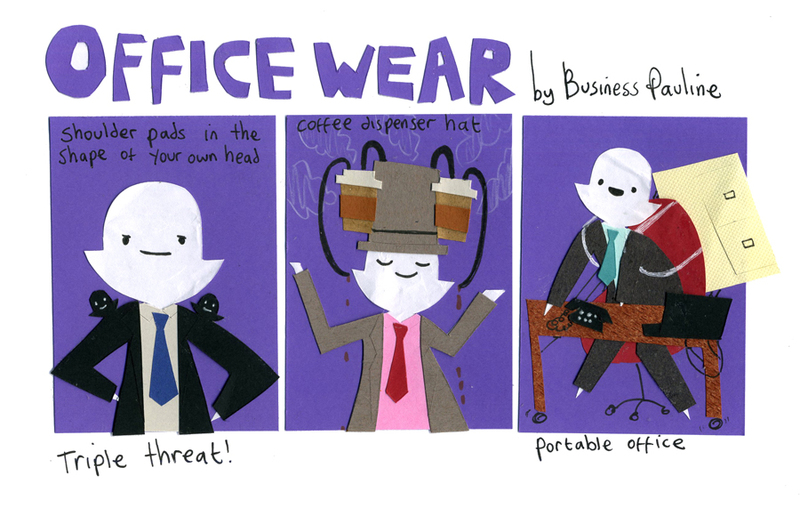 I first read the title as OFFICE WAR in which the 2nd and 3rd panels are surprisingly apt. welp, I just threw my back out trying to carry my filing cabinet on my back. I guess “portable office” isn’t my look. Totally gonna try the shoulder pads, though!